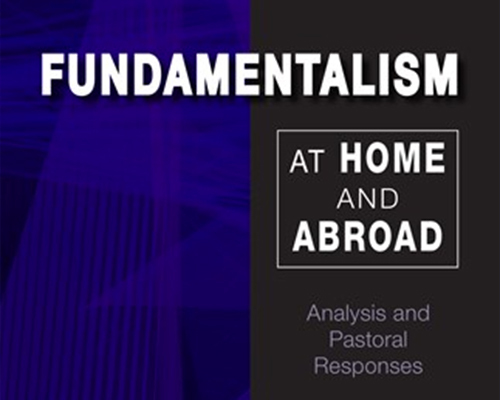 News arrived, Monday, that Fundamentalism at Home and Abroad: Analysis and Pastoral Responses, a book by Fr Gerarld Arbuckle SM won first place in the Professional Books section in the Catholic Press Association USA awards. Responding to the award, Gerald Arbuckle says he is ‘delighted’ and particularly pleased that a book on contemporary fundamentalism has been so acknowledged internationally. “I hope the book, in some small way, can contribute to an understanding that fundamentalism in all its forms threatens the very the very peace of the world. “I also hope it shows we can do something to stop this danger”, he said. The citation states: “A masterpiece on an ultra-important topic. Its chapter on Catholic fundamentalism should be produced as a mass-distributed pamphlet for every parish. In Fundamentalism at Home and Abroad, Gerald Arbuckle argues fundamentalism is not just a radical form of Islam but is a reaction to cultural chaos. He labels fundamentalists as dangerously simplistic people who look for certainty and who fear a loss of identity. “While for most people fundamentalism in the modern world has become synonymous with a radical form of Islam, Fundamentalism in many shapes and forms is also very much present in Western societies”, Fr Arbuckle writes. Fr Arbuckle observes that Fundamentalist economic, political, nationalistic, religious movements are rapidly developing in the world today. He is quick to echo Pope Francis, saying that these movements are anti-Gospel. Reviewing the book, Fr James Lewis Heft, Alton M. Brooks Professor of Religion at the University of Southern California says the book is carefully argued book by a ‘veteran cultural anthropoligist’. “Someone once remarked, ‘The opposite of faith is not doubt, but certitude.’ Arbuckle not only describes the cultural contexts that generate destructive and deaf certitudes but also proposes many practical and pastoral responses to them,” writes Lewis Heft. Stephen Bevans SVD, Professor Emeritis of the Catholic Theological Union calls the work “timely”. In addition, he says that Arbuckle’s sixteen practical pastoral responses to this phenomenon might help reconcile Christians among themselves and people of all faiths and political persuasions. Gerald Arbuckle is co-director of Refounding and Pastoral Development, a research ministry, in Sydney, Australia. The award-winning author, the New Zealand Marist priest is internationally known for his expertise in helping church leaders minister effectively in a postmodern world. The views in Fundamentalism at Home and Abroard are similar to those expressed by Pope Francis to journalists on a plane trip home from 2015 trip to Africa and in letter dated November 2017 Pope Francis acknowledged the gift of Fr Arbuckle’s book. 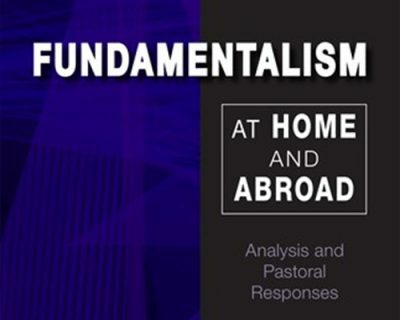 Fundamentalism at Home and Abroad: Analysis and Pastoral Responses is available in Paperback and Kindle form from Amazon.